Like I said.. There is a really cute story to Jumbies, and how they've come to be. As you all know, babies come from the stork. Well occasionally the storks have accidents and they collide with other storks. When this 2 storks collide they babies do too and they get all "jumbled" up. For example, I received Mallit, he is a mix of a Mallard Duck and a Rabbit. He has a little bit of both characteristics, like the duck bill, but the rabbit tail. The other Jumbie I received was Camelot. He is so adorable :)! He is mix between a camel and an ocelot. Now the Storks make things better by going door to door finding families who will adopt the cute Jumbies. Hopefully the storks will drop by my house again because I would love to also adopt a Mooscow and a Sealion :). Look at those adorable faces, how could you say no? I was really impressed with my Jumbies, and I can really see them making great gifts for any little kid. And the story that comes with the Jumbies is just priceless. Mandatory entry: Visit the Jumbieland website and tell me your favorite Jumbie! I like the moosecow and the zelephant, so cute. They are all so cute & funny! But I really like the Tyramasaurus and also the Horsefly, the Zelephant is hilarious! Leopold is my fave! Thanks! Following from the Tuesday Tag Along! I have a FUN LINKY over at The Everyday Mommy if you want to come link up! I like Kloie the butterfly/horse. My granddaughter likes Kloie the Horsefly the best. I have 2 favorites: Kloie the Horsefly and Yuri the Moosecow. Thanks for the great giveaway. I entered your One of my 1930 Quilt Pillows giveaway. 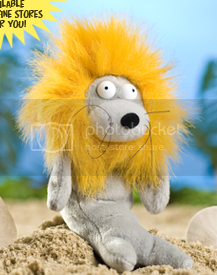 My favorite is SeaLion, Mallit is so funny too. The dingbat and pigbit are really cute (and funny)! I voted for Harry in the Agile Rat Photo Contest! I like the Horsefly - Kloie the horse & butterfly. 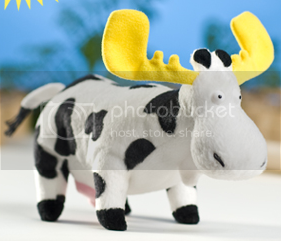 I also like Mooscow - Yuri the moose and cow. I like Jumbies on Facebook as myself. I entered the Febreeze giveaway. I entered the Quilt Pillow giveaway. I entered the iLean giveaway. I like the Leopird. These are so kooky. I entered this one b/c today is my son's birthday, he is 6 now! and this contest ends today!